Will China's Ban Save The Elephants? 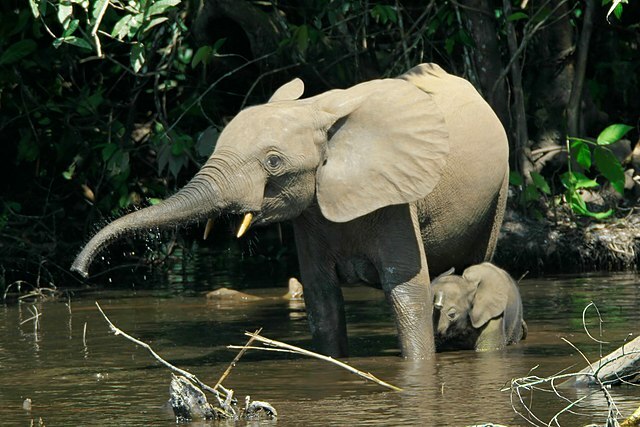 If your favorite animal is an elephant, here is some good news for you. China has recently announced that they plan to shut down their ivory markets completely by 2017, halting all sales and processing. This decision is monumental for elephants, who are on the endangered list because of their declining numbers. Elephants have lent a helping hand to humans for more than 4,000 years, from farm work to hauling soldiers and their weapons to battle. However, these gentle giants are also known for their tusks made of ivory, often referred to as ‘white gold’ and an ‘organic gemstone’. Not only are these 200-pound tusks sought after as status symbols by many, they are also used for making piano keys and other everyday objects due to their easy-to-carve and durable nature. China accounts for a whopping 50 to 70 percent of smuggled ivory, most of which is supplied from Africa. Poachers employ guns, bow and arrows, poison darts, and other tactics to hunt these unsuspecting animals. For these ruthless hunters, the main goal is to get ivory out of the country without being detected. Unfortunately, even humans are not spared in this process — poachers have been accused of killing wildlife rangers who protect these elephants. China’s voracious appetite for ivory has led to more than 100,000 elephants being killed in the span of just three years! In fact, one population of elephants experienced a decrease of 64 percent, while the killings generated 17 billion dollars in revenue. There are three factors that have encouraged the illegal trade of ivory – its prized status, lack of punishment for hunters, and ignorance on the buyer's part. According to a study, only a third of the buyers are actually aware of the horrific means used to kill these giant but gentle beings. Is China’s Announcement All Talk And No Action? While some welcome China’s plans to put a stop to this inhumane multi-billion dollar industry, others are skeptical of their sincerity. For more than ten years, activists, celebrities, the American and African governments, wildlife groups and international authorities have been pressuring China to admit and change these illegal sales. One concern with labeling ivory illegal is that it would only increase its status as a hard-to-get object. Some worry that poaching would become an underground black-market activity, and the motivation to hunt these endangered animals will only increase. This concern stems from sales of tiger bones, which continue despite being declared illegal. The first step China plans to take is closing down of ivory processing factories. Wildlife experts agree that this step could be a glimmer of hope for elephant conservation efforts.